Let’s be honest, who doesn’t love travelling? Getting away from the stress of your routine, exploring someplace new, broadening your horizons, creating new memories… That said, with all the benefits of travel also come some stressors that can put a damper on your travel experience. The easiest part is to pick a destination, nowadays who doesn’t have a bucket list on their phones? Once that’s done, and you’ve made sure you’ve cleared off your calendar for your next adventure, that’s when the struggle comes in. Who hasn’t switched between five different tabs on their browser, obsessively checking for cheap flights? What about finding a restaurant, a late-night club or even what is the best way to go to and from the airport? Worry not, travel buffs at Stasher have made a list of all those websites and services you wish you had known about and that are going to make your next holiday as stress-free as possible. First things first. You need to book your flight. Should you wait a couple of days? Is Tuesday really the best day to make a booking? Hopper can help with all that. This handy app tracks flight prices and gives you periodic updates on whether you should buy now or wait. 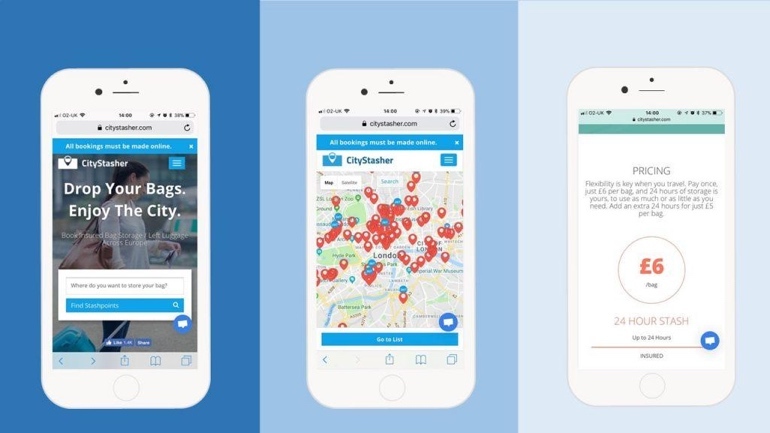 What makes this travel app valuable is its level of detail. For example, it doesn't just tell you to wait to buy your ticket, but gives you a date when the price will likely rise and of how much based on previous stats and airlines strategies. Safe to say, it gives all travelers that much needed reassurance that they’re getting the best possible deal. Hopper is available both on IOS and Android devices. .
You’ve landed yourself a pretty sick deal on your next Budapest weekend getaway. That’s when things get complicated. How do you keep track of it all? Gmail is great for emails, but searching back through your inbox for the restaurant reservation you made two months ago is no fun at all. 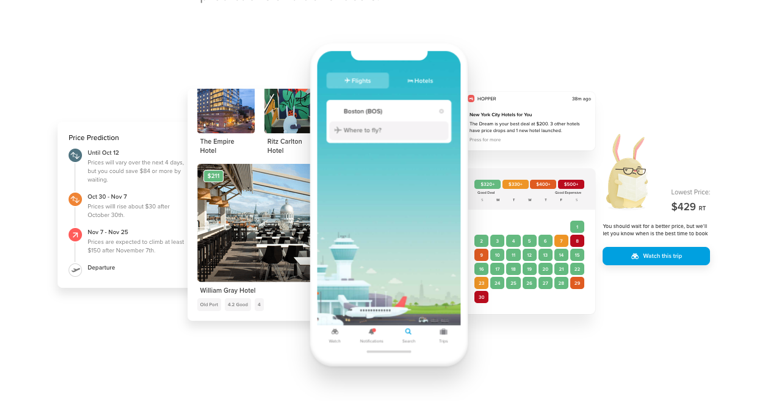 Every time you make a booking for your big trip, just forward all your emails from booking flights, trains, hotels, rental car, to TripIt and the app will then organise it into an automated digital itinerary. Trip It is especially useful to frequent travelers who struggle to keep up with their flights, trains and hotels confirmation emails. Likewise, if you’re a bit ditzy and have a history of going to the wrong airport or having to run to make it to your train, TripIt also has a useful “Go now” feature, which sends your phone a push notification when it’s time to leave your house. We’ve all been there – after hours spent between airports, taxis and trains, you finally make it to your destination. Unfortunately, you decided to save some pennies and book a 6am flight, which means it’s going to be hours before you can check-in. Most of us would sit in a café, resentfully sipping on a lukewarm cup of tea while surrounded by heavy bags. The guys at Stasher effectively provide a solution: they put you in touch with local hotels and shops where you can leave your bags for a couple of hours while you enjoy everything the city has to offer. It’s only £6 per item, insurance included – if you ask us, half a day hassle-free exploring is definitely worth it! They have locations pretty much everywhere, (hello tiny StashPoint on a boat in Amsterdam! ), so you’re bound to find one wherever you need it. Revolut has change the way we travel. Don’t take out €700 in cash. Don’t get one of those prepaid money cards. Don’t use your debit card. After you sign up for a free Revolut card, simply top your account with the local currency and use the card as you normally would! Revolut allows you to store up to 26 different currencies on your phone and it doesn’t charge you any fees on transactions made in foreign currencies. You also get charged using the inter-bank exchange rate, so the price you see is the price you pay. If you need to take cash out, Revolut also offers free international ATM withdrawals of up to £200. How great is that? How do you enjoy everything around you when you don’t even know where to start from? When you’re exploring a new city, it can be daunting to organise an itinerary, plan all activities and book transports to and from each location. If you want to enjoy the best things to do in every destination but lack the inspiration, or the time to ask google, then My Little Adventure is the perfect option. The world’s largest selection of activities, tours and events, it helps you make the most of your holiday. From nightlife suggestions and tours with locals to adrenaline fuelled activities and cooking classes, they have more than 150,000 options for you to choose from. Time to book your next adventure!